It’s a food truck frenzy in Oklahoma, and if you’ve been to H&8th on the last Friday of the month then you know what I’m talking about. 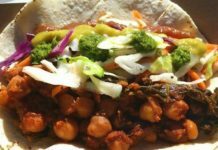 Dozens of food trucks pack the city streets, but what happens to the gourmet eateries on wheels once the night is over? 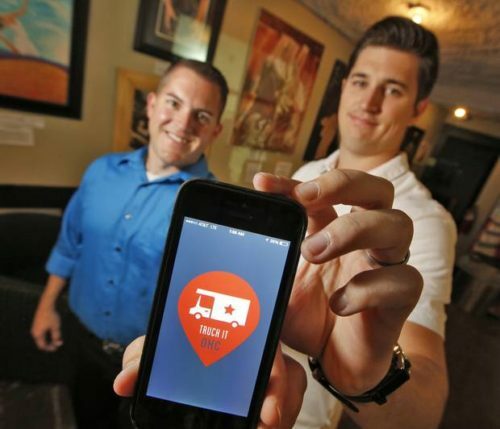 Josh Delozier and Travis Stephens made finding food trucks as easy as a tap of a button with TruckItOKC. Delozier said they created the app last year with the help of food truck owners to give them what they wanted in an app. He said the idea started after trying to find a food truck to eat at for lunch. 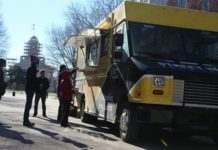 After going to each food truck’s social media site, he decided to give his buddy Stephens with the App Shop a phone call to roll out an easy-to-use smartphone app. 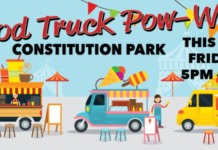 It’s also an opportunity for them to get out to one of the weekly festivals and street parties to network with the more than 60 food trucks available in the metro. Find out more about the app at www.truckitokc.com.